Peeks: Disney’s Big Hero 6: Factoids, Trivia and Assorted Stuff | TWINSANITY! 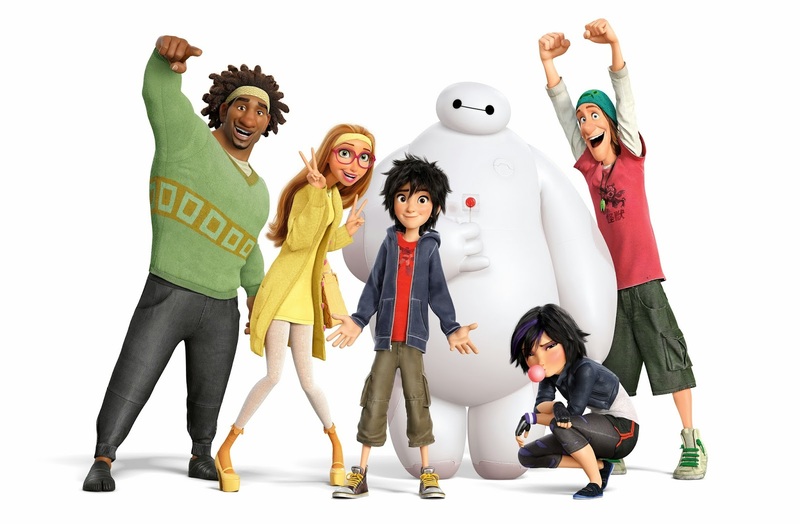 Big Hero 6, the latest animated feature from Disney Studios, is an action-packed comedy-adventure about robotics prodigy Hiro Hamada, who learns to harness his genius—thanks to his brilliant brother Tadashi and their like-minded friends: adrenaline junkie Go Go Tamago, neatnik Wasabi, chemistry whiz Honey Lemon and fanboy Fred. When a devastating turn of events catapults them into the midst of a dangerous plot unfolding in the streets of San Fransokyo, Hiro turns to his closest companion—a robot named Baymax—and transforms the group into a band of high-tech heroes determined to solve the mystery. If you’re a regular moviegoer, you probably already know all of this, as the films’ been teased and previewed quite frequently over the past several months in theaters and on the internet. What you may not know is that Big Hero 6 is a very, very, very, very loose adaptation of a Marvel Comics miniseries of the same name, ’cause you know, Disney now owns Marvel’s very soul. As is par for the course in movie adaptations of comic book stories, the Mouse House has taken their fair share of liberties with the story, making it a comics Big Hero 6 in name only. The biggest difference between the film and the comic is that in the comic, all of the team members were Japanese. In the movie only Hiro and Go Go are Japanese. Also, in the comics, all of the team members except for Hiro were adults; in the film they’ve all been turned into teens. As ThatGuyWithTheGlasses reviewer The Blockbuster Buster put it, the movie seems to be a sort-of mash-up of The Iron Giant and Glen Murakami’s Teen Titans. Basically, Hiro=Robin, Honey Lemon=Starfire, Go Go=Raven, Wasabi=Cyborg, Fred=Beast Boy and Baymax is, well, I don’t think I have to say which one Baymax is. In the comics version of the story, Hiro lived with his parents. In the film, he lives with his aunt and older brother (in the comics, Hiro was an only child). In the books, it is Hiro’s father who dies, not his older brother, and in the books it’s Hiro who builds Baymax; rather than being a hospital assistant robot built by Hiro’s bro, Baymax was built by Hiro to be his personal bodyguard, butler and chauffeur, using the brain engrams of his dead father, so for all intents and purposes, the comics’ version of Baymax was the reincarnation of Hiro’s dad, functioning as Hiro’s best friend and father figure, and staying by his side nearly every hour of every day. Baymax also felt a deep attachment to Hiro’s mother, which will obviously be omitted from the film. 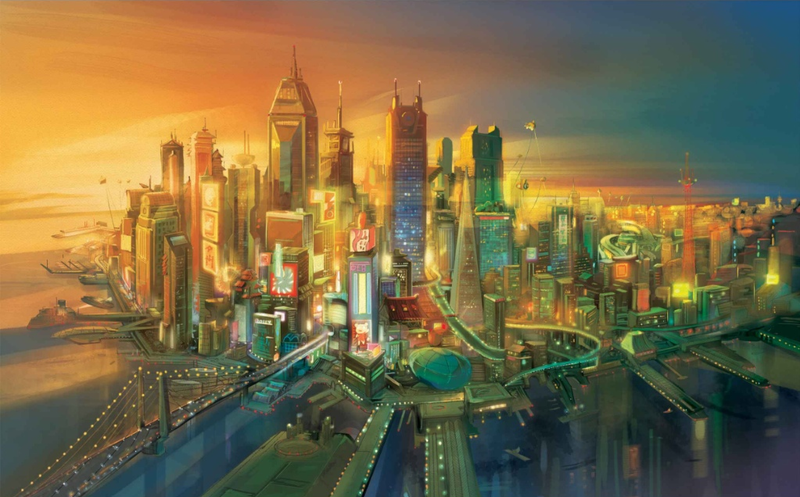 The comics’ Big Hero 6 was home based in Japan. Here, most likely as a way to justify the multi-ethnic, multicultural cast, the movie is set in the fictional city of San Fransokyo, a meshing of Eastern and Western architecture, populace and cultures, which is admittedly a pretty cool concept. In the comics, the team members aside from Hiro and of course Baymax each had actual super powers. In the films they are each given power-granting technosuits designed by Hiro. In the comics, Honey Lemon was Aiko Miyazaki, a top special agent in possession of a Power Purse (also known as the “Nano-Purse”) which contained a series of miniature, artificial, inter-universe wormholes, granting her limited access to an indeterminate number of worlds and dimensions. It was basically like Felix the Cat’s magic bag of tricks: need something? Reach into Hammerspace and pull it out. In the books, Hiro had a crush on Honey Lemon, but there doesn’t seem to be any signs of such feelings in the movie, despite them being closer in age here. For a time it was rumored that Honey Lemon was the same girl playing the Fix-It-Felix, Jr. game in Wreck-It Ralph who first notices that Ralph is missing, but now that just seems to be a meaningless coincidence that the 2 characters share similarities in design. The comics version of Go Go Tomago was a street urchin who possessed a voice-activated battle suit that absorbed and amplified kinetic energy, enabling her to temporarily transubstantiate her body mass into thermochemical energy simply by uttering the trigger words “Go-Go Tomago”. This transformation could be either partial or total. It remains to be seen whether or not she’ll possess similar abilities in the movie, but she does possess cool blue streaked hair. The comics version of Wasabi-No-Ginger was a chef, hence the name. He was also a skilled swordsman who could give form to his Qi-Energy, usually materializing it as throwing knives that can paralyze opponents. The comics version of Fred was nicknamed ‘Fredzilla’, due to his being Ainu in origin and his ability to manifest a huge ‘solid’ kaiju (monstrous creature) aura resembling Godzilla around his body. In the film, Fred merely wears a suit that resembles a kaiju. The movie is very consciously pro-science. Fred is voiced by comedian T.J. Miller, who’s been racking up his share of geek cred as of late; not only is he a regular on HBO’s Silicon Valley but he also appeared in Transformers: Age of Extinction. This will be Miller’s second time playing second banana to a robot. Movie Baymax bears a notable resemblance to the title character in Miyazaki’s My Neighbor Tuturo. In Japan, the movie will apparently be released under the title Baymax. So there you have it; some little food for thought for when you go see Big Hero 6 (if you’re planning to see it, that is; I am). 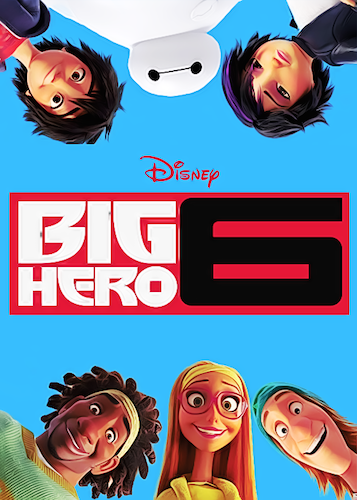 Will Big Hero 6 be Disney’s next big thing or just a homogenized sawed-off Avengers wannabe for kids? You decide. *The voice actor for Hiro, Ryan Potter, was from the Nickelodeon series Supah Ninjas. So a Nickelodeon star is the lead in a Disney movie. And T.J. Miller plays Tuffnut in the How to Train Your Dragon franchise. So two actors from Disney's biggest competitors in TV and animation respectively are in this movie. That's pretty weird. *But, Damon Wayans, Jr. and Jamie Chung play Wasabi and GoGo respecitvely, and both were in ABC series. Wayans was in the sadly-canceled Happy Endings, and Chung is currently in Once Upon a Time. *And lastly, Alan Tudyk is in the movie as well, and you might know him as this generation's Phil Harris, as he's starred in Wreck-it Ralph and Frozen, making this his third Disney movie in a row. I assume he'll be the villain again, making it three times in a row. – Kass (voiced by Maya Rudolph) was originally going to be Hiro’s mother. Disney changed the character to being the boys’ aunt because Disney has some weird aversion to on screen mothers for some reason. A pity, as I preferred it the other way. 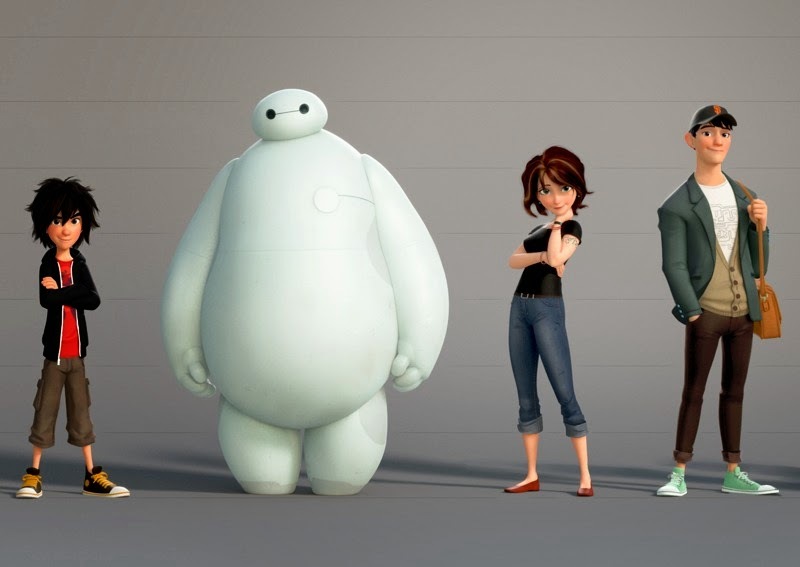 -In the comics, Baymax didn’t look like a big marshmallow. He had 2 distinct forms: a citizen form, which was a mostly humanoid appearance, and a fighter form, which looked like a mechanical dragon. It’s funny how you compared Wasabi to Cyborg given that the Big Hero 6 cartoon has him voiced by Khary Payton, the definitive voice of Cyborg.